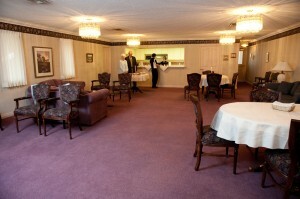 The existing structure of MacLean Funeral Home Swan Chapel was completely renovated and re-dedicated in 1994. This modern facility provides a formal chapel, three visitation rooms, the Morrie Room reception facility, lounge areas, selection room, arrangement office and business offices. The MacLean Funeral Home Swan Chapel is pleased to offer the Morrie Room – an inviting reception room complete with full kitchen facilities. 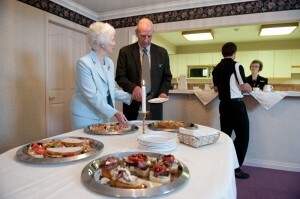 This tearoom has been used by a number of families who wish to gather with friends and loved ones after a service.